(1) Bob and Timmy's: This place is home to a grilled pizza that's supposed to be really good. There's a location in Providence and one in North Smithfield. 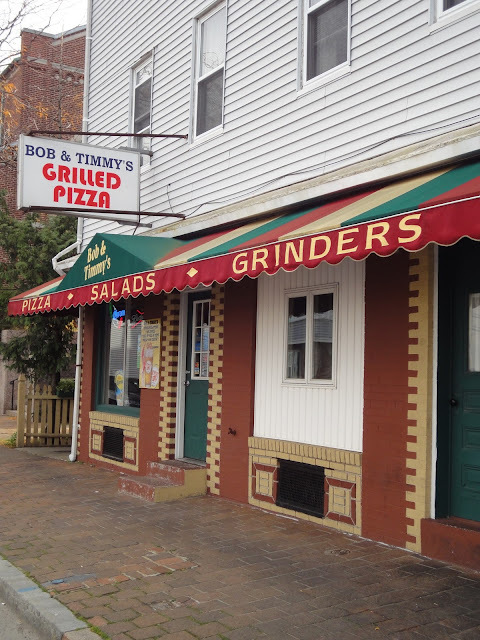 All of Bob and Timmy's pies are amazing from what I've heard (including the Red Pepper Layered Chicken and the Fully Loaded Everything), but the true Rhode Island classic is the Spinach and Mushroom pie. The pie begins with 9 ounces of homemade dough soaked in olive oil. 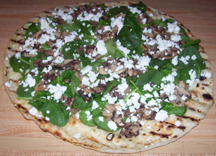 After it's grilled, the pie is topped with fresh garlic, parmesan cheese, baby spinach, sautéed mushrooms, crumbled feta and more parmesan. 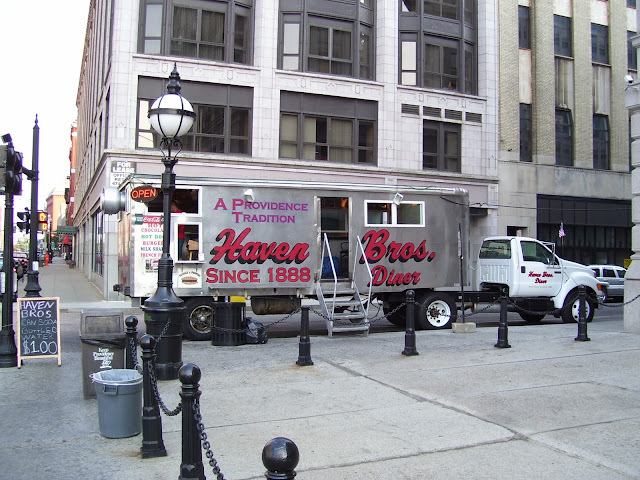 (2) Haven Brothers Diner: This is a diner on wheels that's been around since 1888. This place parks outside of City Hall and is supposed to serve really delicious burgers. If I go, I have to try the Triple Murder Burger- a three patty burger with cheese, bacon, egg, sautéed onions and mushrooms, mayo, mustard, relish, ketchup, lettuce and tomatoes. 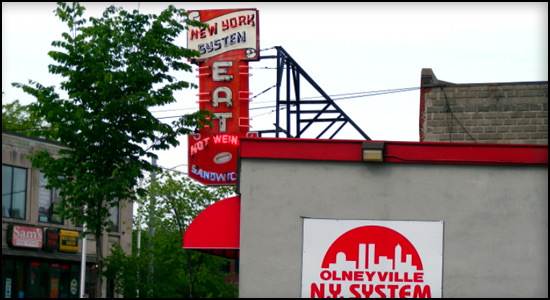 (3) Olneyville N.Y. System: Since 1946, this place has been home to Rhode Island's best hot wieners. There are three locations (Providence, North Providence and Cranston). True Rhodies get the fully loaded with mustard, onions and loads of meat sauce. 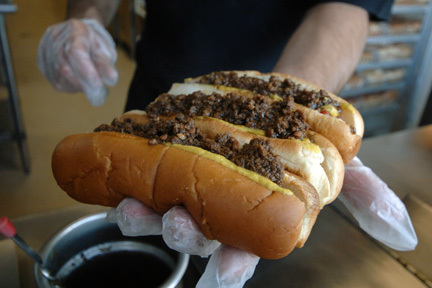 The wiener is made with beef, pork and veal, then it's grilled and topped with mustard and meat sauce (which has onion, ground hamburger and spices). Then it's topped with more onions and celery salt. Yummo! I can't wait to go! 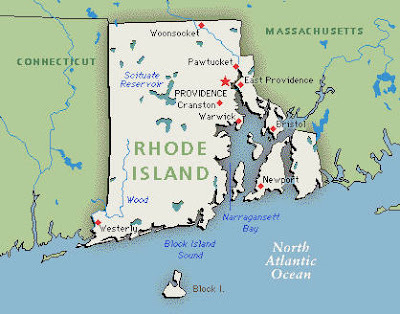 Got any more good Rhode Island eateries that I should try...let me know!